In her more than 30 years of experience in Massachusetts higher education, Dr. Lane has been active in national, regional and state education organizations, working consistently to improve access to higher education, build quality programs responsive to changing student needs and to support students of all ages, levels and disciplines in achieving their educational goals. She has extensive experience in strategic planning at institutional and policy levels including the establishment of multi-site campus locations. Most recently she has consulted with both public and independent institutions to establish a new continuing education model and to create a national teacher education center. Dr. Lane has a strong and active commitment to team building and to the development of collaborate teams across internal and external entities to accomplish stated goals and ensure long-term success. Prior to her current consulting work, Dr. Lane served as President The New England Institute of Art. 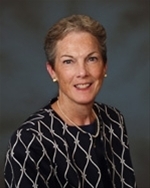 She served for seven years at The University of Massachusetts, Dartmouth, as Associate Vice Chancellor for Professional and Continuing Education, as an Adjunct Professor in Education, and was Interim Chair in the Education Department. Dr. Lane held the positions of Associate Dean and Associate Professor of Education at Lesley University and Senior Officer and Acting Dean of Graduate and Continuing Education at the Massachusetts College of Art. Dr. Lane also has served as Deputy for Higher Education in the Massachusetts Governor’s Office for Education Affairs and was Staff Associate for Academic Affairs for the Massachusetts Board of Regents for Higher Education. Dr. Lane earned her Ed.D. in Administration, Planning and Social Policy from the Harvard University Graduate School of Education, an M.B.A. from University of Massachusetts, Boston, an M.Ed. degree from Boston University’s School of Education and B.A. in Government and International Relations from Clark University.